The expression ‘May you live in interesting times’ could certainly be applied to Bones recently. The show has just kicked off its 10th season on FOX and within the space of two episodes has explored themes of love and loss, dealt with a character’s PTSD, seen conspiracies unravelled, placed major characters in real danger and killed off a long standing fan favorite. Stephen Nathan, Bones Executive Producer joined ScreenSpy on a call this week to discuss the recent upheavals, where the show will take its audience this year, new character additions, and surprise returns and of course, that hotly anticipated 200th episode. The entire situation for us was very, very painful and we tried to treat it with as much respect and truth as we possibly could and really focus in on what was going to be the best for the show and most emotionally truthful for the characters. And it seemed that Sweets and Booth and Brennan had grown so close over the past three or four years especially that it seemed as if they were the people who should be there when he died. And it was also a very complicated situation because Booth was having a huge crisis himself and also Booth and Brennan as a couple with Booth coming out of prison; and it really was a testament to Sweets and to kind of the nobility of the character really that his last words were about Booth and Brennan. His last words were of concern for his friend, not in any way thinking of himself. He was concerned for Daisy and at that moment concerned for Booth, that Booth didn’t lose faith, that Booth didn’t lose hope in the world and that the world actually was a good place, even as he was dying. I think it really encapsulated Sweets as a character as well as Sweets’ relationship to Booth and Brennan. And as I say it was very painful for us to lose John and to lose this character of Sweets, but this is what happens not only on a television show, but it happens in life. You get thrown a curve ball, you don’t know what’s happening the next moment in anybody’s life and you just have to pick up and move on and try to learn from the experience and make the best of it and hopefully make everyone’s life a little bit richer and better for it. Was there a concern that killing off such a major character would impact negatively with fans of the show? Absolutely. We can only deal with the events that confront us and that’s what we had to do in this circumstance. It’s more than what is going to be good or bad for the show. Really it was the difficulty, the challenge, and to be honest, the pain of losing a character like Sweets and an actor like John. We love John and it’s always difficult and you never really know how the audience is going to respond. We could only hope that by treating this in a realistic way, in a way that respects the character, that will also show how much we respect the audience. We did not do this in a cavalier or a callous way; we tried to do it and integrate it into the show and hopefully it makes the show better in a way. If the show continually was running in place, I don’t think we’d be on for ten years. I think a show has to change and evolve; sometimes the change is painful, but that doesn’t mean it’s not good or correct, so we have to trust that if we treat this situation truthfully, it will enhance the show no matter how difficult and painful it is. There’s no way really ever of knowing how the audience is going to respond to any episode or any change. 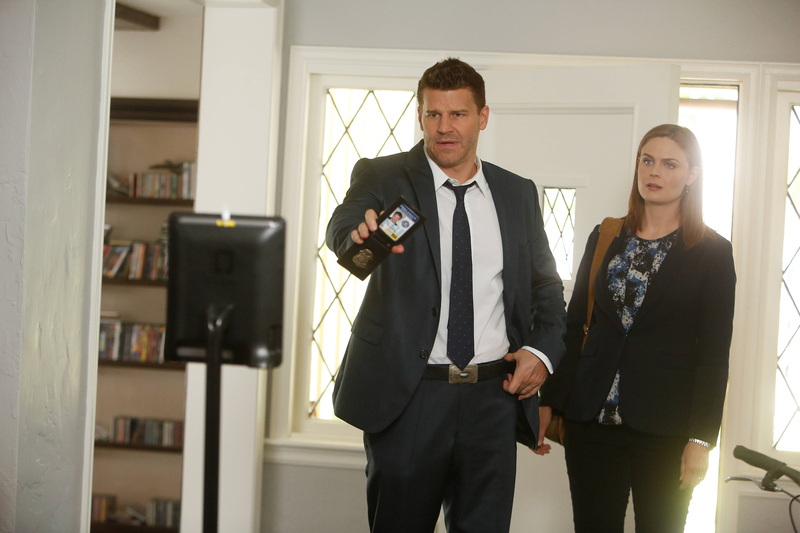 We didn’t know how they were going to respond when Booth and Brennan got together. We didn’t know how they were going to respond when they got married, when they had a child, when people leave the show. You just never know. You just hope that everybody is along for the ride and that the ride is satisfying and honest. What can you tease about Sweet’s Funeral? Really this is a two parter in a very classic way, not only for the primary plot with the conspiracy, but more than that a two parter dealing with one of our most beloved characters leaving our family. So we wanted to send him off in a way that honored his memory and showed how much our characters have changed, grown because of their contact with Sweets, so we really wanted to show that and show what this family is made of and how they pulled together in the most horrible of circumstances and get through. 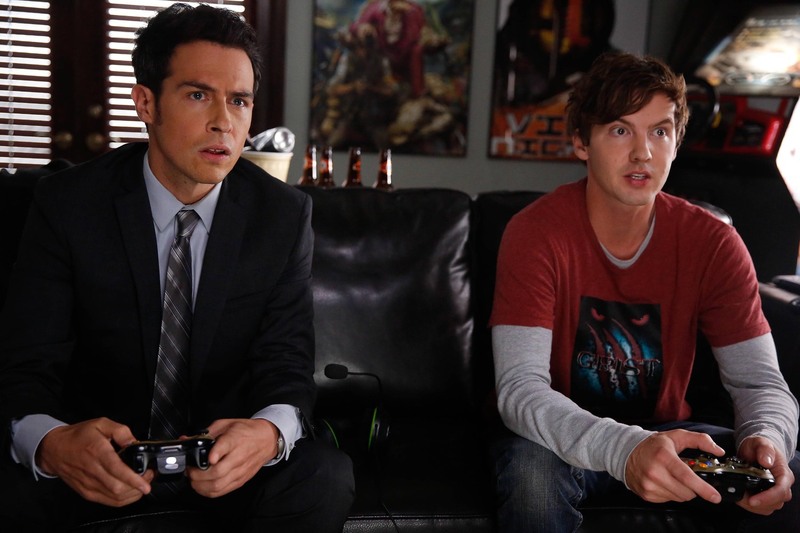 What can you tell us about the show’s 200th Episode? I’m going to be very, very vague and circumspect. It will be an episode unlike any we’ve ever done before. We’re going to have as many people who have crossed our paths as we possibly can. There are limitations to that of course, some limitations that we can’t possibly get around. 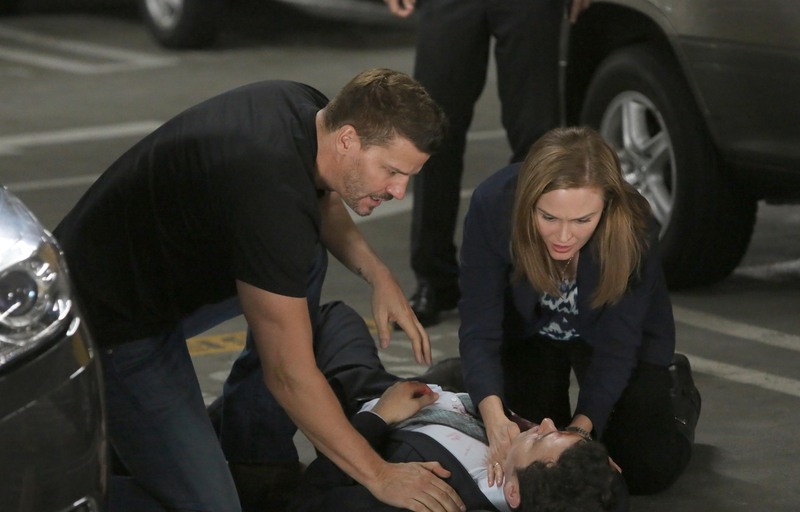 But we wanted to give a little gift to the fans, to the people who have watched Bones for ten years or even three or five or six, give them a little gift showing our characters in a situation they would never normally find themselves in and just see our characters from a different perspective. It’s not a dream show, but it is unique. It is going to be visually something we’ve never seen before on Bones and stylistically something we’ve never seen on Bones before. Will Booth warm up to New Guy Aubrey any time soon? Yes, as they recover from the end of season nine and the beginning of season ten really Booth and Brennan and the Squints life has to go on. But it’s a very difficult hurdle for Booth especially, his foundation, his trust in the institutions that he’s devoted his life to that he’s risked his life for has been shaken, so he has some big trust issues moving forward and Aubrey is the focus of that initially. Now Booth will be getting over this in a way only he can with Brennan and Brennan’s help and this will not drag on for a long time. Bones is not going to turn into a dark show where they’re dealing with all of these demons all the time. But we have to deal with what has occurred, so within the first three or four episodes Booth is going to have to learn to trust Aubrey and Aubrey is going to have to earn Booth’s trust. So it’s really a two-way street and we will be doing that; and we’re going to be back on our traditional Bones footings very, very quickly. Certainly episode three, episode four the show is back. Our show is yes, we’re procedural, yes, people get murdered, but it’s funny. It’s romantic. It’s bizarre and all of that, the oddities and the unique nature of the show will return, but we will be getting to know Aubrey in these first five or six episodes because he’s going to be a very valuable member of the team and slowly become a member of the family as well. He’s a strange guy, but he’s a brilliant agent who is un-intimidated. Sweets was very deferential to Booth. Sweets being so young when he started he wanted to fit in; he wanted to make sure he was doing the right thing. Aubrey is somebody who really has, socially, he’ll just blunder into things, but at the same time Booth will learn to trust the fact that he is a great agent. Are we going to see any new ‘Big Bads’ emerging this season? There’s always something lurking out there. I can safely say that there is going to be something else lurking out there. I don’t think the world ever exists with simple murders no matter how horrible. I think we need something a little more evil and that will be coming our way. They might be in the second half of the year when we come back in January, but we’ll be getting involved in another case where there’s someone who’s not nice, not a good person. Will Booth’s recent experiences continue to effect him throughout the season? We will deal with that and initially it will be resolved reasonably quickly, but the residual elements of that will always be there. I think he’s a very resilient guy. He’s been through war; he’s been in covert operations. He was a ranger; he’s seen a lot of stuff and he has bounced back from a lot of very difficult sometimes tragic circumstances and found a way to move on, and this will be no different. That doesn’t mean there aren’t some residual emotional issues that he will be confronted with really at a time when he thought everything was okay, so it’s really going to ebb and flow through the season and we will see this initial issue of trust and idealism and challenged idealism be dealt with in the first few episodes and dealt with pretty successfully, but there’s a lot underneath that will keep bubbling to the surface throughout the season. As I said it’s not going to be some kind of weird dark season, but that doesn’t mean that people don’t have difficult things that they have to deal with that surface when they least expect them. So Brennan as well as Booth will be dealing with a lot of residual fall-out from what’s happened and what will happen in the future. Will Daisy continue to appear this season? Daisy will be in the second episode clearly, we have to say good-bye to Sweets and send him off as only this group can, but Daisy is also pregnant and as we heard in that episode, she’s alone really. And I don’t think people who have grown close to her and really grown to love her in their own way over these, I don’t even know how many years, five, six years are not going to send her out into the world alone. When this baby is born, this baby will be born and cared for. What can you tell us about our beloved Squints? Yes, all of our regular Squints will be coming back to visit and work, so these are characters we’ve grown to love and they have become such an integral part of the show that we’re able to really treat them as more than just functionaries within the lab. They really have full, rich lives of their own and that’s what we’re going to be contending with. Wendell is dealing with his cancer. Cam and Arastoo are dealing with their relationship. Daisy now is going to be dealing with a baby. We’re bringing back Oliver Wells. We’re bringing back Clark and all of these people have very rich lives that will be explored and since they’ve all become so close to the other Squints, everybody gets involved in each other’s lives as happens in most workplaces. And we’ll be learning a lot more about these characters that initially were just temporary help in the lab. They’ve become permanent members of the Bones family. Is it a challenge to stay fresh after 10 years of Bones? Going into our tenth year clearly the one of the most difficult things is finding cases that are new, clues that are new, worlds that are new and unique and ways of dealing with the science that are new and keep up with technology. This show technologically, the show has changed dramatically over ten years, but primarily it’s where are these new body finds going to come from? What are the new murderers? What worlds can we go into that we haven’t gone into before? The miraculous thing is the writers keep coming up with new completely unique ways to kill people and locations and worlds in which to kill them that are constantly amazing. We’re going to be doing a murder at a forensics convention filled with forensic experts. How did we not do that before, but really and over nine years that we never have, so we’ve got a new one. It’s just really, as I said, a testament to the writers, Jon Collier, who’s an executive producer on the show, who runs the writers’ room is just phenomenal and leads the writers through the dark forest and into the light; and what comes out of there is just amazing. 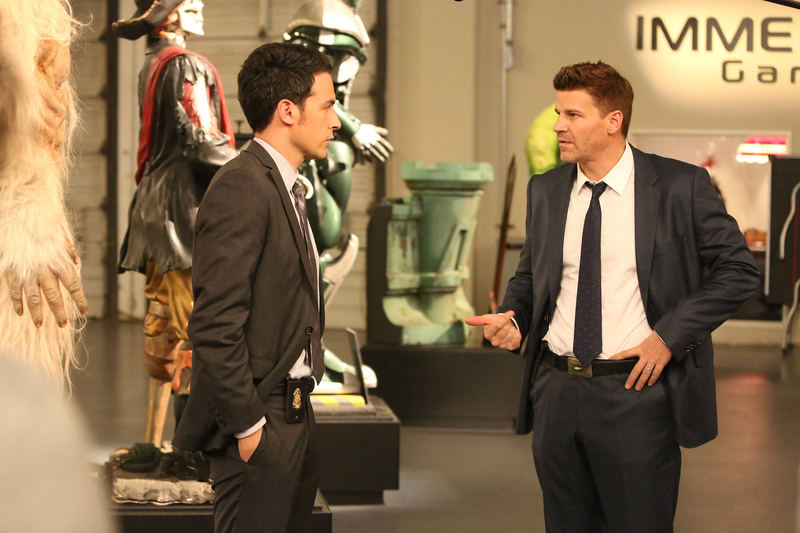 Bones continues Thursdays at 8:00-9:00 PM ET/PT on FOX.